"A modern fable that pins down the sickness of our cities, that chronicles our contemporary neuroses. An absolute highlight of the Fringe." 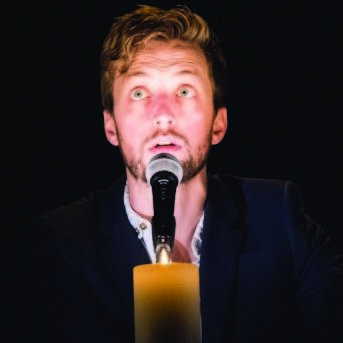 Kieran Hurley’s 2016 Fringe First award-winning, sell-out show returns for a limited run. A city. Just like this. Right now. A teenage girl boils up in rage in a toilet cubicle. A finance worker preaches doom in a busy train station. An absurd coke-addled celebrity races through town on a mission. A paranoid stoner stares blankly at the endless disasters on the TV news. In just one moment, all their worlds will end. Part of the British Council Edinburgh Showcase 2017.